An emergency and critical care specialist is a specially trained veterinarian dedicated to treating life-threatening conditions. At least 4 years of intensive training in emergency and critical care medicine (including instruction in surgery, internal medicine, anesthesia, pain relief, neurology, cardiology, radiology, mechanical ventilation, dialysis, and emergency procedures) must be completed. 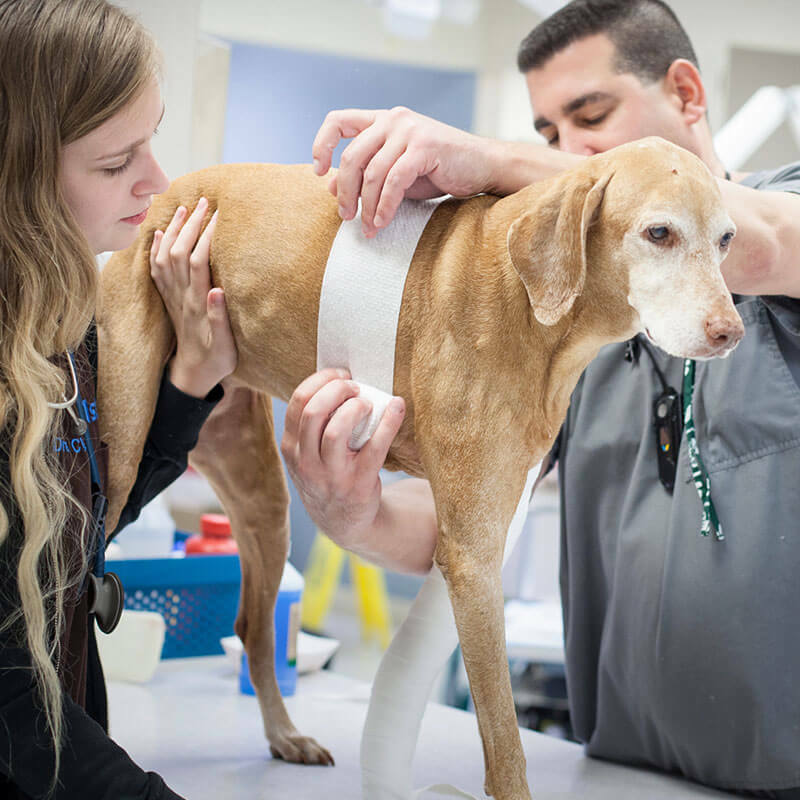 After training, a rigorous test must be passed in order to achieve certification as a Diplomate in the American College of Veterinary Emergency and Critical Care (ACVECC). Dr Reniker achieved her ACVECC certification in 2003. Critical illness of a pet can be an emotionally devastating experience. 1st Pet Veterinary Centers offers phone consultations and accepts referrals for case management of seriously ill or injured pets. The Critical Care Service is here to provide either primary case management or supervision and guidance in the evaluation, specialized monitoring, and intensive care of critically ill pets. Dr. Reniker acts as the patient’s advocate in identifying all reasonable diagnostic and treatment options, gaining an accurate prognosis, and in some cases, administering advanced life support. She will facilitate the decision-making process through coordination of the primary care veterinarian, emergency doctor, and other specialty doctor consultations. Neurologica CereTom 8 slice, high resolution digital CT (‘cat-scan’) machine available for advanced imaging. All CT scans are read by board certified veterinary radiology specialists.